There’s no such thing as “man’s work” or “women’s work”, so why is it some industries and roles still struggle when it comes to achieving gender parity? Take the Fortune 500: last summer, the percentage of female CEOs at these companies dropped to just 4%. But there are exceptions – women who have managed to climb to the top of the ladder in traditionally male-dominated fields. We spoke with five of them – all members of the Forum’s Young Global Leaders community – and asked them to share some thoughts on how they got to where they are, what hurdles they faced (and still face), and what other aspiring women leaders can learn from their experiences. When I started working at the Pentagon, I was one of a handful of females in a sea of male generals, most of whom had wives at home. Although my husband worked (in fact, he was the primary breadwinner), he was at the time in charge of most of the childrearing and home-making. My gender never impacted my ability to be effective and respected, and I never experienced discrimination or harassment, not even undertones of it. Outside the workplace was another matter. Moms would email other moms to set up playdates, and because it can take me days (OK, let’s be honest…weeks) to reply to personal emails, my child has missed more of these than I can count. I’ve even had mothers remove my husband’s email from the cc line after I’ve added him to the conversation. Over at school, the administrators knew my work schedule was far nuttier than my husband’s, but they’d always call me first when our kid was sick. As for extra-curricular activities, my husband was often the only dad at the Girl Scouts meeting or the “mommy and me” yoga class. Many men – my husband included – are enthusiastic to take on half, or more, of the childrearing activities. It’s another question altogether whether other kids’ parents, teachers and society are ready to accept them. As a child, I always wanted to be a pilot, and I’m so thankful that my upbringing didn’t discourage that interest and passion. Growing up with one sister, I attended an all-girl’s school for my secondary education. This ensured I didn’t have a socialized or gendered view on what I could or should not do. All the leadership positions in my school were held by girls, and if you were good at something, it was expected you would pursue it. 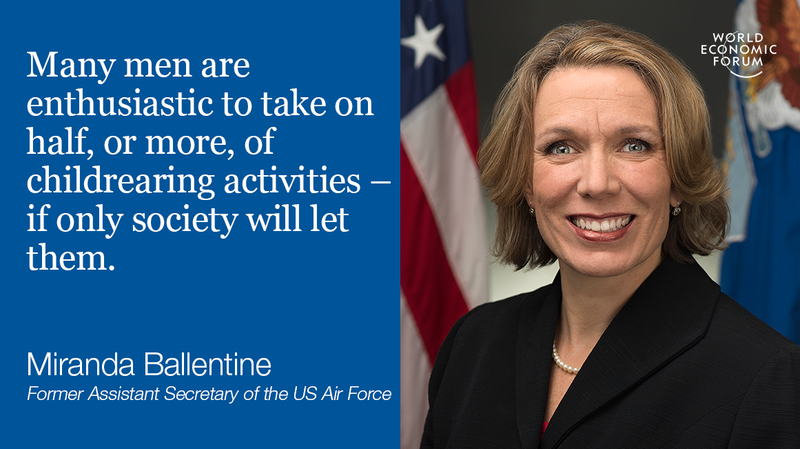 That’s why I focused on STEM subjects – traditionally seen as a “boy’s subject” – before eventually going back to my true passion and joining the Air Force. As the only woman in my pilot training course, I spent the early part of my career trying to fit in and grappling with complex negotiations of femininity in a male-dominated environment. However, flying the humanitarian relief mission after the Bali Bombings made me realize that being different is in fact the value I add. What has all this taught me that I think aspiring women leaders could learn from? 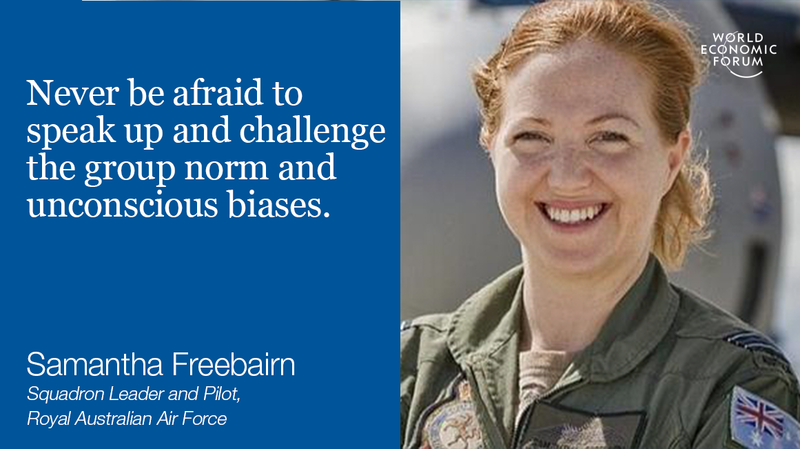 Never be afraid to speak up and challenge the group norm and unconscious biases. From research and academia to politics, every field, job or challenge I have undertaken, I have never let my gender define me or my work. When things didn’t go the way I wanted or expected, even if I suspected some form of discrimination, I instead asked this question: what was wrong with what I had done and how could I improve for next time? 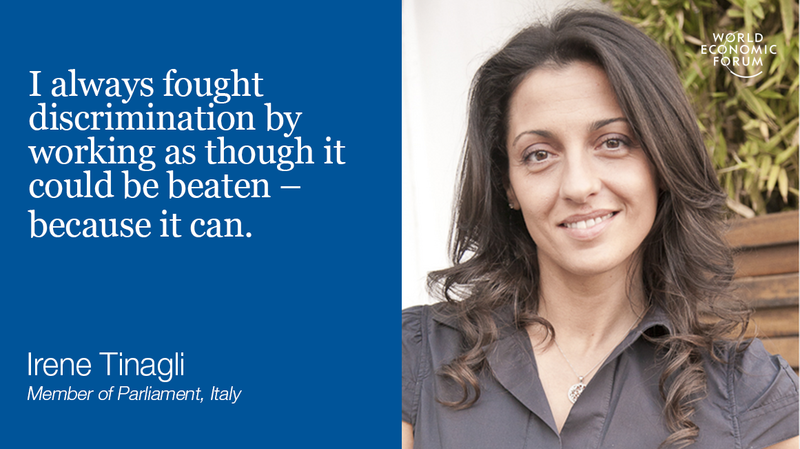 I always fought discrimination by working as if it can be beaten – because it can. I have to admit, though, things got harder when I got married and had children. Becoming a wife and a mother opens you up to a whole new set of expectations from those around you, and leaves you dealing with stereotypes you might never before have encountered. The only way to overcome them is to engage your loved ones in your plans, goals and ambitions, and ask for support when you need it. At first I thought I had to fight against everything and everyone. Then I realized I needed allies. And I also realized that if I was open with my family about my dreams and my goals, they would be helpful and supportive. The ones you love the most will also surprise you the most. You just have to keep them on board. I entered the world of work at the relatively young age of 15. My first position was as a cashier at a gas station, and I had a lot to learn about customer service, sales and balancing the books. Even back then, I knew to treat the people I was learning from with the respect they deserved, and soaked up every morsel of information I could. 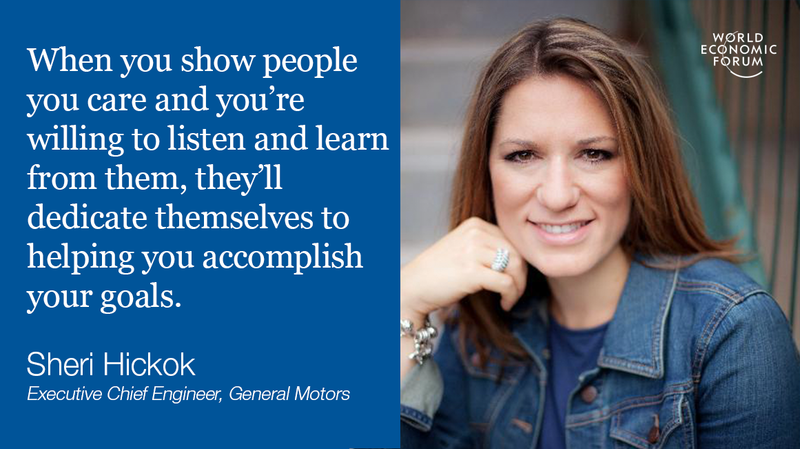 What does that first job have to do with what I do today as executive chief engineer at General Motors? Because those traits – treating people with respect and soaking up information like a sponge – have helped me in almost every role I’ve had since. I’ve found that when you show people you care about them as individuals and you are willing to listen and learn from them, they will open up fully and dedicate themselves to helping you accomplish your goals. My father has countless times reminded me that “Life is what you make it”. Over long periods of time he faced health problems, but even with all these daily challenges he lived life to the fullest. He is my inspiration. I learnt from him how important it is to be true to who you are and your values, and to be aware of your strenghts and weaknesses. Internal motivation is key, because if you’re not pushing yourself, who will? Another thing he taught me was the importance of embracing change. The most successful people I know combine passion for their work with fearless execution – excuses limit and prevent us from growing personally and professionally. Listen to your intuition, and always follow through. Acquire new knowledge, learn new skills and work hard. Having a long-term vision is important, but it’s even more important to focus on the day that’s ahead of you. Think big and stay committed to what you love to do. 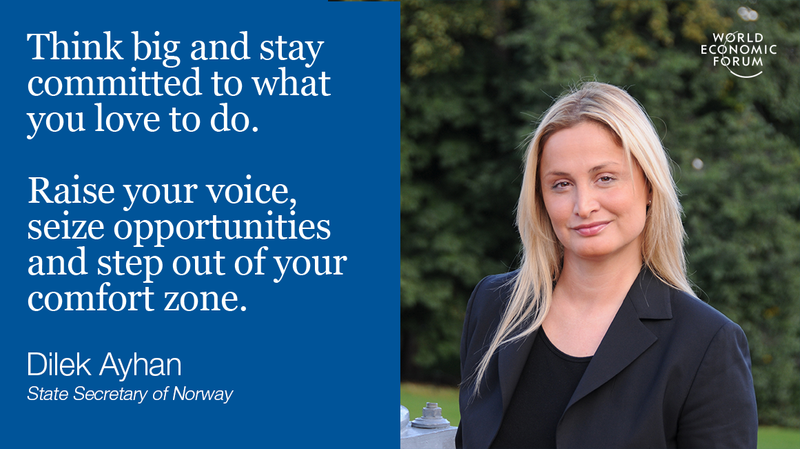 Raise your voice, seize opportunities and step out of your comfort zone. It’s challenging but also very rewarding.